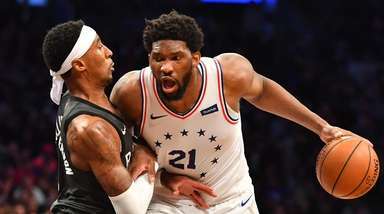 LONDON — With the Knicks not far from the home of Frank Ntilikina in France, the point guard was the center of attention from the huge crowd of international media —mostly wondering why he hasn’t ascended to be the center of attention in the Knicks’ rebuilding plans. 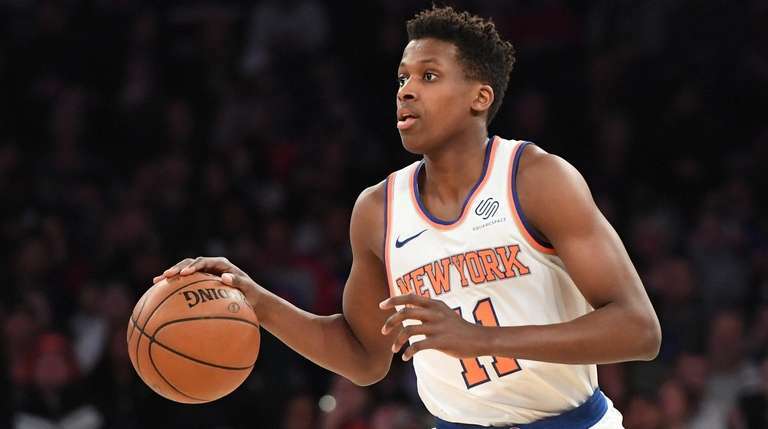 The 20-year-old Ntilikina has seen his role yo-yo in his two seasons with the Knicks with former coach Jeff Hornacek and this year’s coach, David Fizdale. 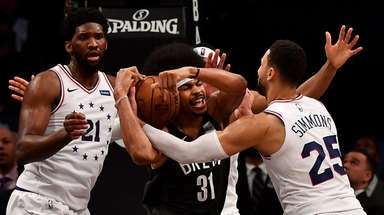 While Ntilikina is trying to change minds in New York, he also might have to do it in virtual realilly, too, as it was pointed out that on the video game, NBA2K, his rating is just 72. Trey Burke took in the mass of reporters crowded into the practice gym and said that the experience of playing what felt like something more important than another in a line of regular-season games could help boost spirits on the Knicks. “It helps you keep things in perspective,” Burke said. “It’s a season where it’s tough right now, a tough stretch that we’re going through. Just to be able to sit back and see everything in a different perspective, a different lens, it means a lot. The Wizards picked up Ron Baker shortly after the Knicks released him, but in a numbers game, also cut him loose before the trip to London. 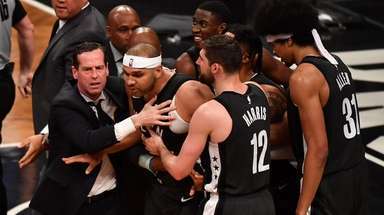 “You know what, we loved him,” Washington coach Scott Brooks said. “It’s a situation that had to present itself. He’s an NBA player. He’s definitely an NBA player. He’s going to be in the NBA a long time. He just has to find the right spot. you never know, it could be with us, could be a lot of teams that will need his style of play. 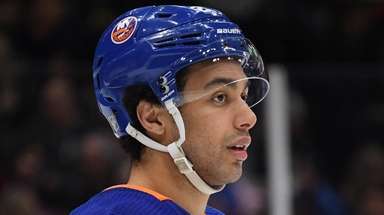 He’s a hard-nosed, great worker, great teammate. I said when we let him go it was tough, but he’ll be back.